Over time, online slots machines have become more elaborate and creative. While many people appreciate this, others are content with games such as Burning Desire slot that deliver many common and classic elements that old school gamblers are familiar with. Despite magical fantasies and wild adventures being a hit online, a lot of players prefer this particular game simply because it offers visuals and backgrounds they have grown to love since online gaming was developed. 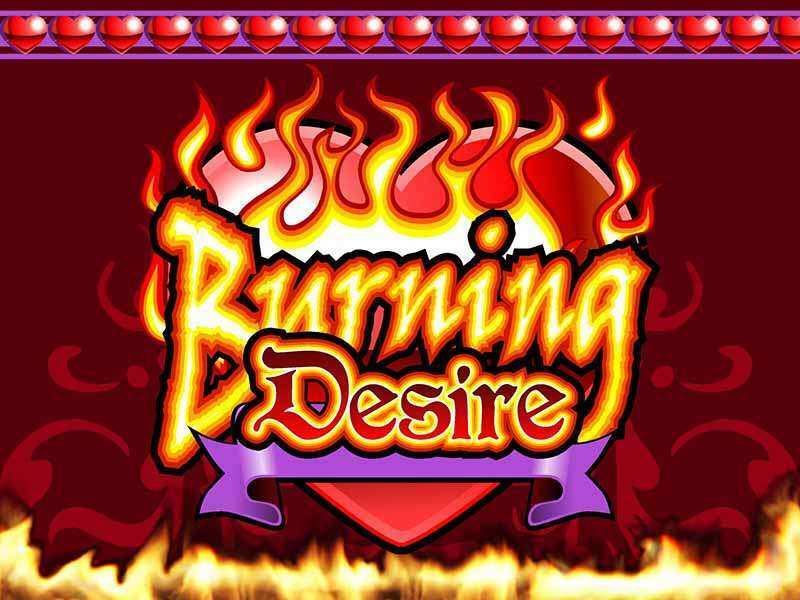 The Burning Desire video slots were developed with a combination of nostalgic visuals and sound effects that transport players to the traditional casino. Developed by Microgaming, this game has an RTP of 96.19% and 5 reels. It also offers a cool combination of popular symbols from slots machines and regular card games. As if that is not appealing enough, the Burning Desire slot machine has 243 paylines, giving players plenty of opportunities to win throughout their gameplay. Earlier on in this Burning Desire slot review, we mentioned that the game comes with 243 pay lines. Not only do you have multiple chances to win a lot of prizes but, you can win a maximum jackpot of £1,000 if you are lucky. Betting starts at a minimum of 0.25 coins, and players can increase their bets to as much as 250 coins. For players not interested in playing for real money, Microgaming made Burning Desire free play available online without registering. Like many other gambling options, the Burning Desire slot online comes with Free Spins that you can activate when you get at least 3 coin symbols. When you win a free spin round, your prize is tripled. Another bonus round of free spins can be activated when you get a wild symbol on reels 2 and 4, and this particular symbol can replace every other symbol in the game minus the Coin symbol. An added feature that many other slots machines do not have is the Gambling Game. When you click the button that says ‘Gamble,’ you release a deck of cards. Pick the colour of cards that you want to gamble on, and if you win, your prize is multiplied. If you lose, your total prizes are annulled but not to worry as you are given plenty of chances to cash in and win big. The Burning Desire online slot maybe not offer mystical visuals or twisted plotlines but it is still a great game, especially if you like traditional casino machines. With 243 paylines, even beginners not familiar with online casinos will have plenty of chances to win something. Although a jackpot of £1,000 is not a lot compared to other slots, it is still a decent amount, especially considering that betting starts as low as 0.25 coins. For any players who want more than the free slot Burning Desire gameplay, they can take an opportunity to win real money by gambling. 0 responses to "Burning Desire Slot"